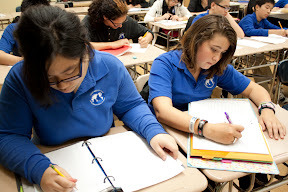 The goals were to create a safe learning environment for all students, prevent school violence and bullying, improve academic achievement by engaging students' hearts, heads and hands in the learning process, and provide them with a social/emotional education. Rachel Scott was the first student who was killed in the Columbine High School tragedy in 1999. 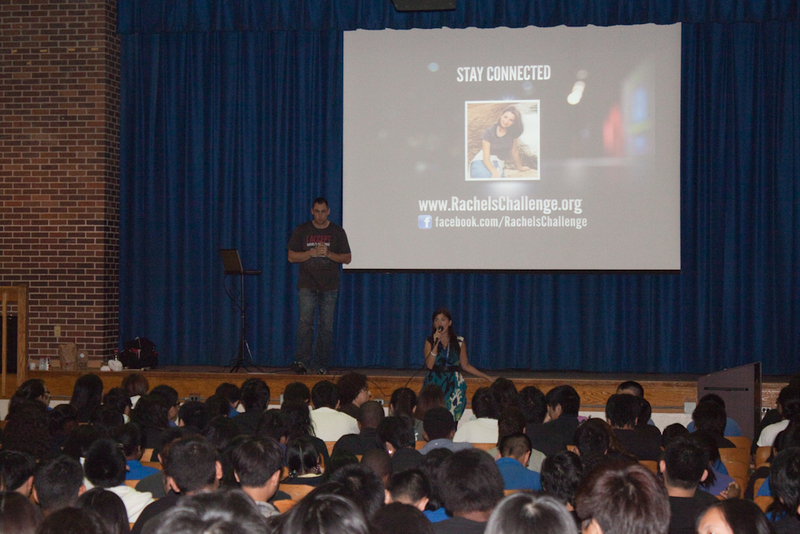 During the school day portion, a Rachel's Challenge speaker shared Rachel's story and her message: Start a chain reaction with simple acts of kindness. Teachers gave special lessons and activities about anti-bullying during their regular classes. 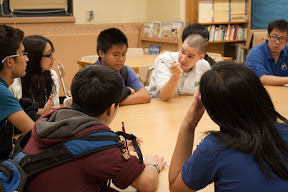 A class discussion on "What is Bullying?" 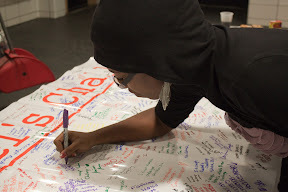 Students and staff signed a banner to honor their commitment to Rachel's Challenge. 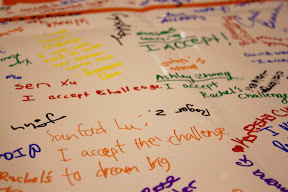 "I accept the challenge to dream big." 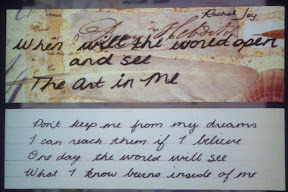 I hope everyone will dedicate themselves to the F.O.R. club, not just for the first couple of days, or a few months but for this entire year and onward. If you were truly touched today, then take a chance to change someone else's life too. 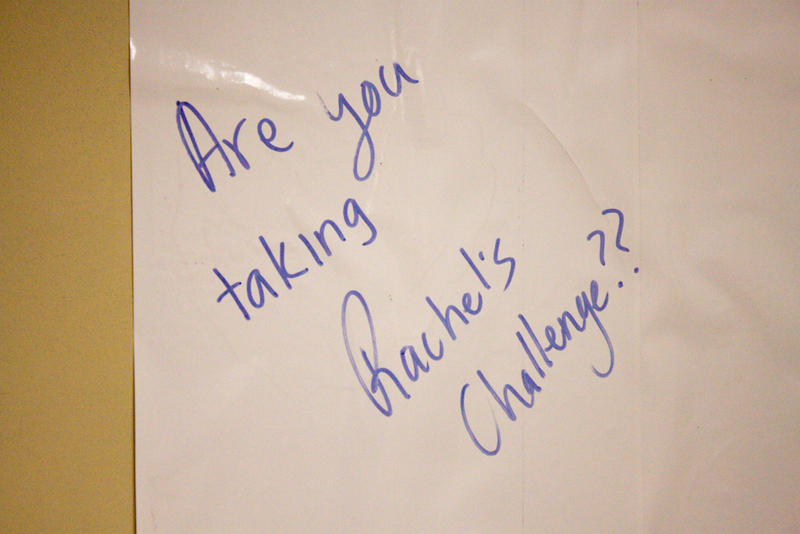 For more information, visit Rachel's Challenge. 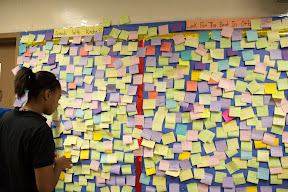 Students shared ways they promote kindness within their community. 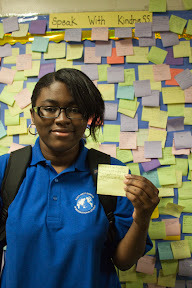 "I will look for positive influences in life so it can help me exceed more and & learn what I can't learn on my own." 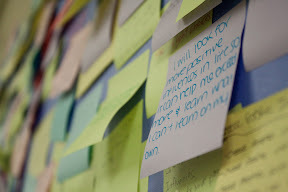 Students developed their own "code of ethics" after studying Rachel Scott's essay. A class discussion on the impact of the presentation. 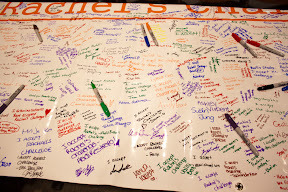 A signed commitment to Rachel's Challenge. The banner will be displayed in the hallway. 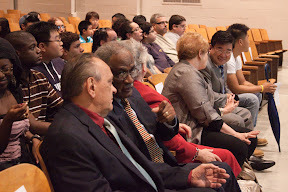 Elected officials and community leaders attended the assembly.